Your Property Rights are about to change. Commissioners are planning to outlaw your right to "Opt Out" of the county monopoly on building inspection. No Fees without Guarantees. Did you know that if a county building inspector makes a mistake that costs you $$ you have no legal recourse! The Opt Out does not affect State Inspection requirements for electrical, plumbing, septic, HVAC, site and other applicable inspections. The Opt Out does not affect anyone living in a city in any way. The Opt Out cannot be used by contractors; it is only for property owners improving their own property. The Opt Out can save rural property owners time and money. The Opt Out allows you to use county services at your option. Did the Opt Out abolish building codes? No the most current building codes have been adopted. 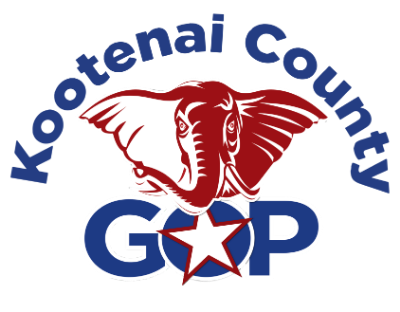 I live in one of the 14 cities in Kootenai County. Can I Opt Out? No. Cities have their own building departments and zoning. County codes only apply to residents in unincorporated areas. Can Contractors build houses without county permits and inspections? No. Contractors cannot opt out. Only property owners can opt out. Will I still need Idaho State electrical, plumbing, septic, HVAC and site permits? Yes, there has been no change. If I opt out can I hire someone to build a structure? Yes. As Property Owner when you opt out you are accepting responsibility for the building quality. If I opt out can I build anything I want on my land? No. You must own a buildable parcel and you must meet zoning and setback requirements. Opt-out pertains only to residential structures and accessory structures. Agricultural structures are exempt from building codes per Idaho statute but still require a county site permit. I have a construction loan and the bank needs county inspections. Can I still get them? Yes. The full permitting and inspection services are still available. There is a structure on my property that is in compliance with land use codes, setbacks and such but was built without a permit. Can I make it “legal”? Yes. You can now get a site permit which brings the structure into compliance with county building ordinances. I have heard that my house won’t be safe unless I get a county building permit and county inspections. Is this true? No. A county permit and inspections do not guarantee safety. If there is a faulty inspection the county cannot be held liable. Can I get a mortgage and insurance on a house built without county inspections? Yes. There are many homes in Kootenai County that were built before there were inspections or even codes. Won’t people abuse the Opt Out system? Yes because people abuse the current system but the Opt Out system allows owner builders to come out of the shadows and build legal structures so the construction of illegal and non-conforming structures should be reduced. Though there are speed limits, speeders still speed. Fill out our form to let the Kootenai County Commissioners know what you think of the Opt Out system. Not Bad Idaho Republicans, Not Too Bad At All.